Carrie graduated with her Master’s Degree in Occupational Therapy from the University of Wisconsin- La Crosse. She has extensive knowledge and training in Sensory Processing Disorder treatment and evaluation through participation in the Level 1 Mentorship program with the STAR Center and through participation in the SIPT Certification program. Carrie has also received training in iLs, Therapeutic Listening, SOS feeding approach and Handwriting Without Tears. Sarah is a licensed and registered occupational therapist with experience in inpatient and outpatient pediatric hospital, school-based, early intervention, summer camp, and private practice settings. She graduated with a Master’s degree in occupational therapy from the University of South Alabama and spent several years working in Tennessee and Georgia before coming to Colorado. Darja is a Registered Dietitian and Certified Nutrition Support Clinicican. She graduated from the University of Dayton in 2008 with a BS in Dietetics & Nutrition. She completed her dietetic internship at Miami Valley Hospital in Dayton, OH. Prior to joining STAR Institute, Darja practiced in home care, providing tube feeding support, training and management to patients with feeding tubes. Caraly has over 15 years' experience as an administrative professional, serving as administrative assistant at an animal hospital and boarding facility for nearly seven years before joining the STAR Institute family in 2008. Caraly’s responsibilities include assisting with the coordination and production of STAR Institute's Intensive Mentorship programs, SOS Approach to Feeding Conferences, faculty speaking engagements, and annual symposia. In addition, Caraly provides support to the administrative, marketing, and development teams. Andrea Valdez graduated from Metropolitan State University with a Bachelors in Psychology with an emphasis in research in 2015. She started as an intern with STAR Institute in 2013 and has since taken on the role of Senior Research Assistant, working closely with Dr. Schoen and Dr. Miller. 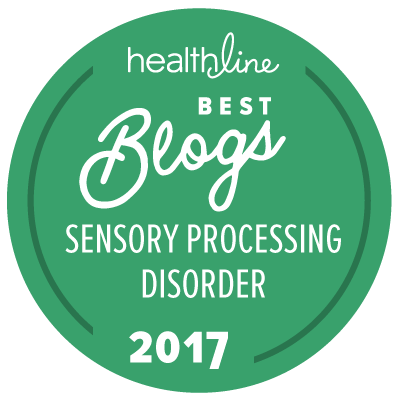 She has her hand in many projects, but takes a lead role in research involving the Sensory Processing Three Dimensions Scales. With the intent of attending graduate school to become an Occupational Therapist, she hopes to someday be an OT at the STAR Institute. Andrea will be your personal guide into STAR Institute’s treatment program. In most cases, she will be the staff member to respond to your inquiries when you contact us. She will review your developmental history form and make recommendations about how to proceed. She conducts intake evaluations and helps coordinate programs for families coming to STAR Institute from out of town. Andrea has managed therapy clinics since completing her college degree in management and marketing. Danielle Gilliard joined STAR Institute in May 2018 as a Front Desk Coordinator. Danielle greets all STAR Institute clients with a warm smile and ensure that everything at the front desk is running smoothly. Danielle brings a lot of administrative experience to the team, including previous work at a pediatrics clinic. In the future, Danielle hopes to continue working with kids and finish her BA in Communications. Jennifer is the scheduling coordinator for the STAR Institute. She is our scheduling specialist, making scheduling as painless as possible and provides front desk assistance. Jennifer has been with STAR Institute since 2010. Before coming to STAR Institute Jennifer spent 20 years in the child care industry including 9 years as a director.